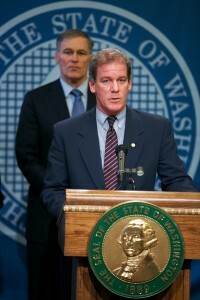 Rep. Goodman speaking at a news conference on DUI legislation. 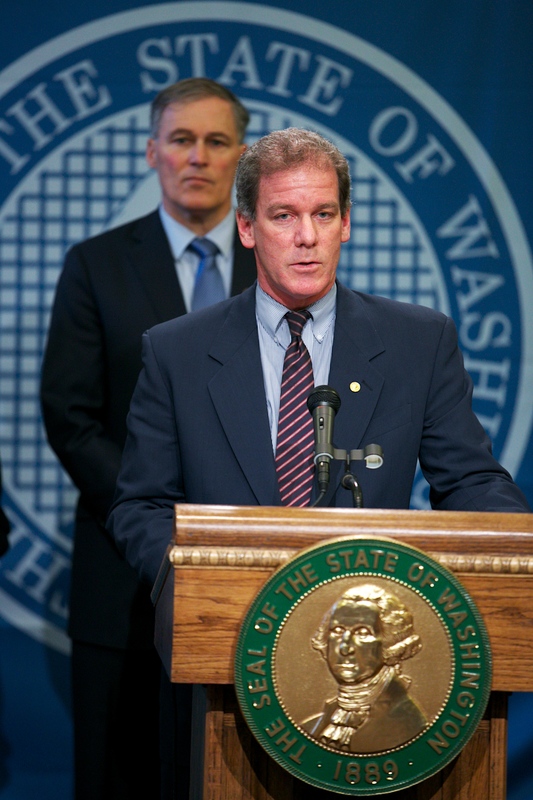 OLYMPIA – Rep. Roger Goodman (D-Kirkland), an attorney and criminal justice expert, has been appointed vice chair of the National Conference on State Legislatures’ (NCSL) Law and Criminal Justice Committee. Next week in Seattle thousands of state legislators from around the country will gather at the NCSL’s annual Legislative Summit to discuss a wide range of policy issues. Rep. Goodman will help lead the proceedings of the NCSL’s Law & Criminal Justice Committee, including panel discussions on police body cameras, the use of DNA evidence and the changing marijuana laws.